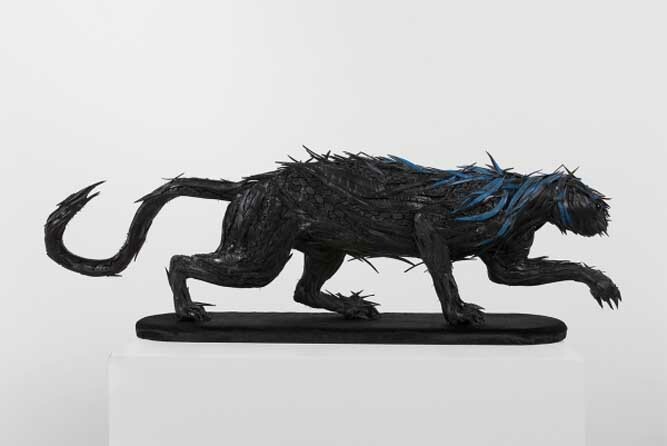 One must take note of the tires used in Yong Ho Ji‘s works. 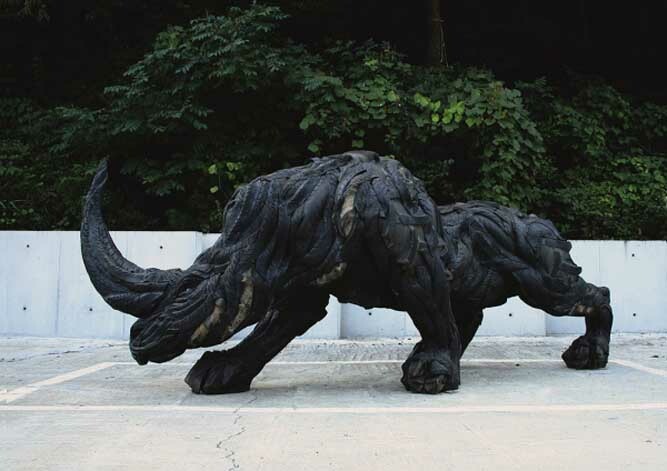 In the animal-like forms Yong Ho Ji created with the tire, the forms are generally realistic and refined, despite the rough texture of the tire used as the artistic material. 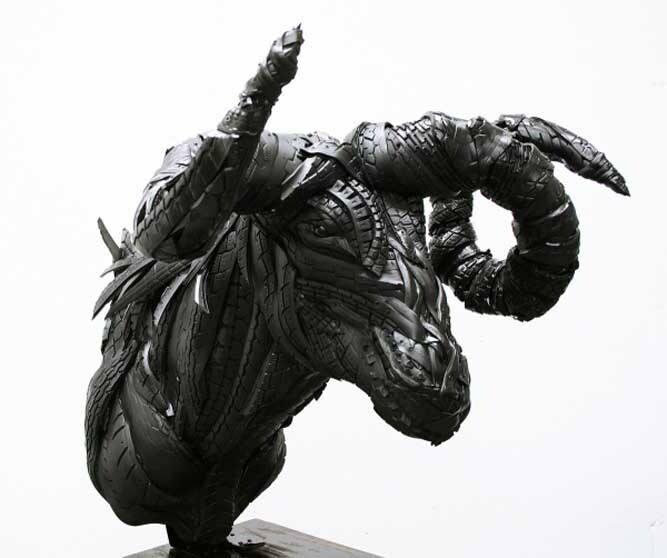 Of course, upon closer view, one realizes that the forms do not resemble real animals. 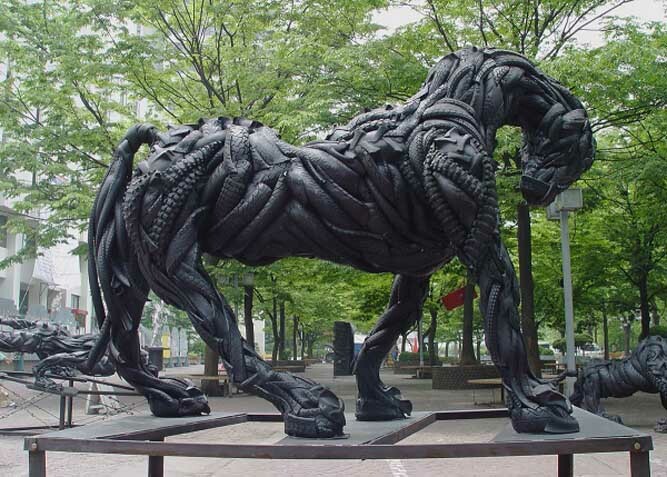 There is a sculpture that upon first glimpse resembles a horse, but its hind legs are those of a cows and the tail of a chicken. 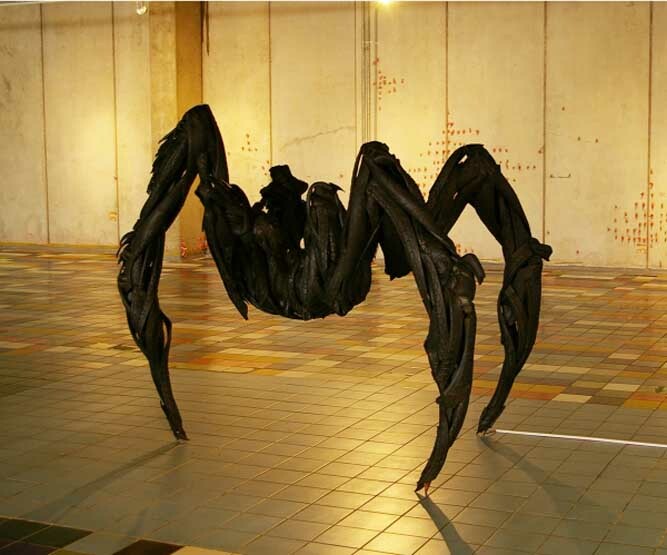 In these figures, tires intensify the grotesqueness to create science-fiction like monstrous figures [read more]. 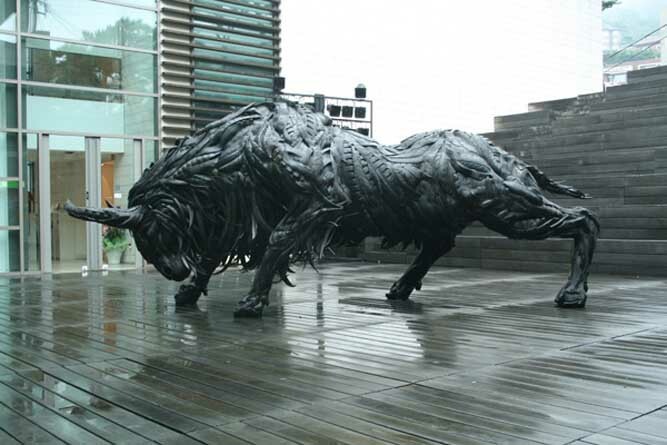 All images about are copyright © Yong Ho Ji. 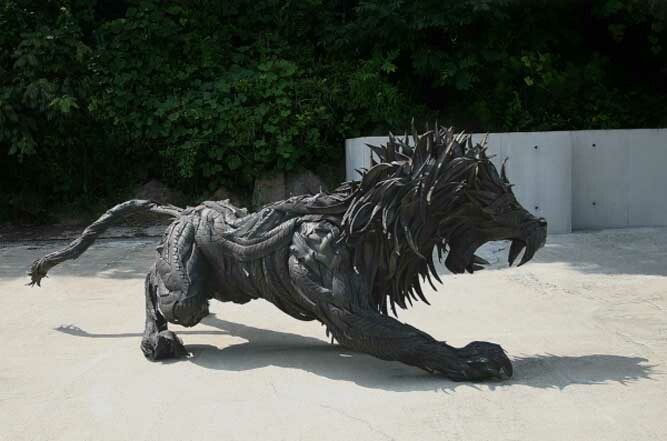 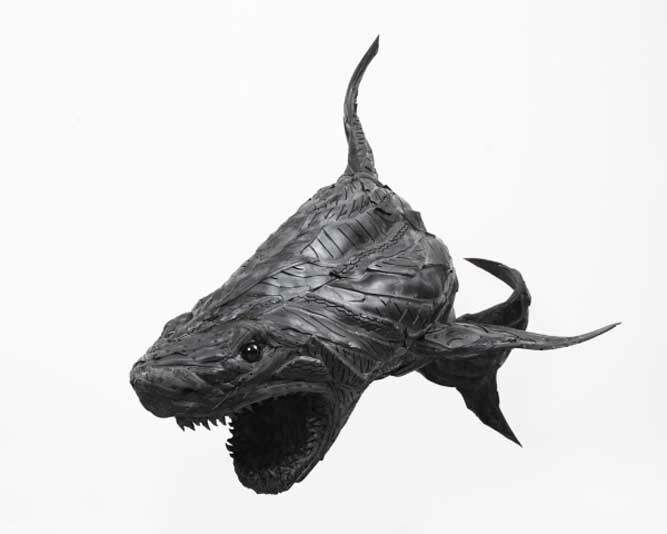 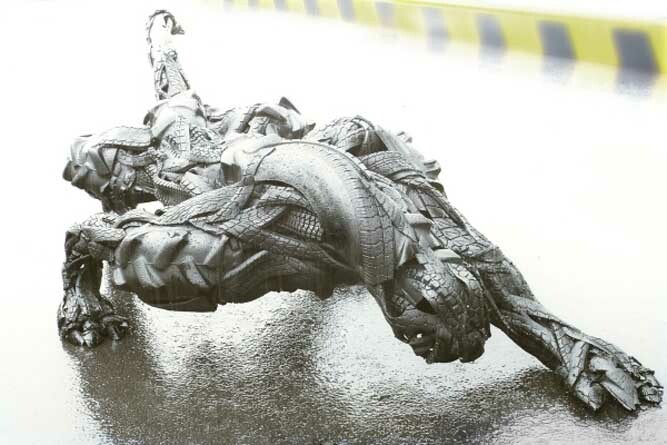 Why not check out Yonghoji.com for more fantastic recycled tire sculptures and contact information. 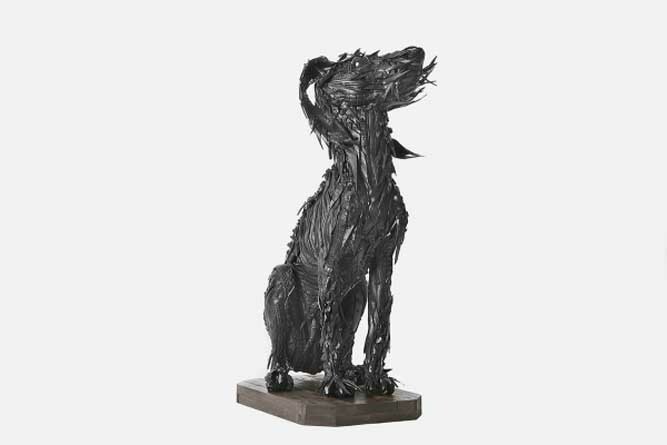 If you liked this article, please take a quick look at Sculpture Art by Charlotte Hughes Martin.